- Date: 03/2014, Seed: undisclosed amount (post valuation: undisclosed amount). 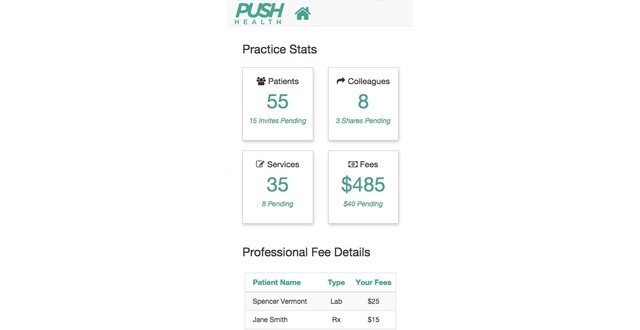 We started Push Health to empower any licensed medical provider with a mobile device to provide virtual and mobile care to their patients anytime, anywhere for 100% transparent prices. By doing so, we are creating the largest US-based "patient-pay" marketplace for everyday health services. We are working to "democratize" access to everyday healthcare services by providing our integrated software platform to 3,000+ doctors, nurse practitioners, and physician assistants located in all 50 US states, DC and Puerto Rico. The platform delivers 100% price transparency for virtual visits with fees set by the individual providers, lab testing with the Quest Diagnostics integration, "pay-per-visit" medical malpractice insurance, and more. Whether managing the US Government's largest privatization, merging industrial giants Alcoa and Reynolds Metals, or helping defense companies go public after 9/11, I enjoy being involved in important industries with big challenges. Recovered banker. I have been building internet startups since the 90s. After graduating from MIT, I worked for a short time at Oracle. Since then, I've been the primary technologist at several startups, including co-founder and CTO at Twenty20 (formerly Instacanvas). How do you make money and if you do make money today, What's your revenue run-rate? We are currently handling transactions involving tens of thousands of self-pay healthcare dollars on a monthly basis. Answers to these questions help determine success and value in normally functioning marketplaces. In healthcare, the lack of information around these 3 questions creates fear and friction which can lead to sub-optimal outcomes. How is your product/solution going to help? "Join for the tool and stay for the network"
To transform the healthcare experience, we are engaging the medical providers (doctors and mid-levels), vendors and patients in a way that they didn’t think was possible. Our mission: Increase utilization of the right healthcare service, at the right time and place, for the right price. How would you size the market opportunity and what's your go-to-market strategy? We are focused on the self-pay market for services, which is large (despite being estimated at only 10% of current overall spend) and poised for growth with the US system transitioning from first-dollar care to high-deductible and co-insurance. We are approaching the marketplace build in a staged manner. 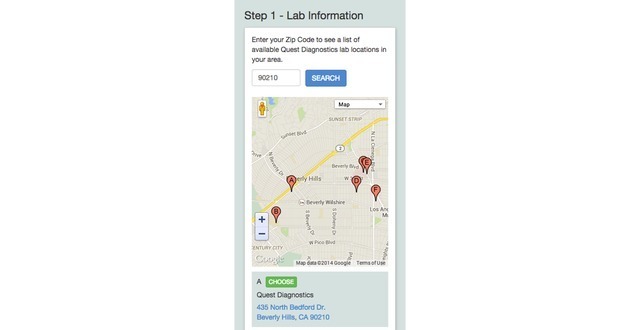 We have on-boarded medical providers in a measured fashion to test the platform. 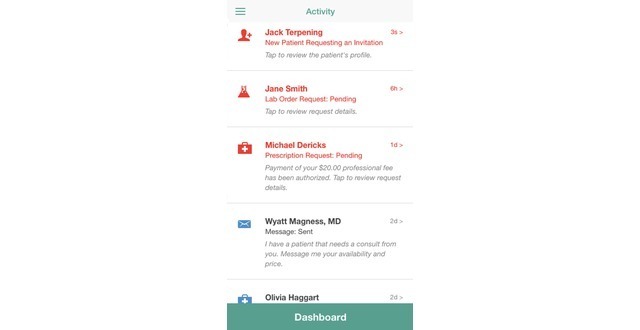 Patient demand has been primarily driven by making it easy for medical providers to connect with patients (existing and new) through digital networks. We have proven our ability to connect with a large vendor and transact through the platform. We are in the process of connecting with additional vendors and helping build the supply of patients. When did you launch and how much traction is your product seeing? We deployed our minimally viable (MVP) product in late 2013. We have seen solid and accelerating growth across marketplace participants. We like well-rounded teams. Please be sure your relevant team members added to the team section in your company profile and make sure their brief bios and links to a LinkedIn profile are added. 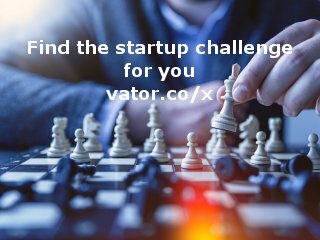 Who are your competitors and why is your solution better? Healthcare spend is currently dominated by 3rd party or insurance-based payment. As such, most of the existing competitors are focused on insurance based activity. By connecting the marketplace participants in an eco-system with actual prices and enabling transactions based on those prices, Push Health is embedding itself as a trusted platform for managing self-payment healthcare. As insurance-based prices for healthcare increase and the US system transitions from first-dollar care to high-deductible with co-insurance, enabling and validating self-payment for services will become an important option for all parties. Push Health is uniquely positioned to provide this option. As a growing marketplace for healthcare services, our value proposition is clear to all of the participants. How did you hear about the Vator Splash competition and why do you think your company should be on stage? We are focused on a very important problem facing the US. Our team has built two other businesses focused on delivering price transparency in healthcare. These two bootstrapped companies have provided or enabled the care for over 50,000+ patients without accepting $1 of insurance and are growing at 25+% to 50+% year over year. We have had success engaging all three parties to marketplace: understand challenges of medical provider, skilled at finding and converting self-pay patients, connect with vendors and manage relationships. 1) Is this an app for doctors? Are you selling to physicians? We have designed the app to make it easy for doctors (and other licensed medical providers like nurse practitioners and physician assistants) to scale themselves virtually. To date, we have primarily marketed to medical providers and have let them market to their respective patients. 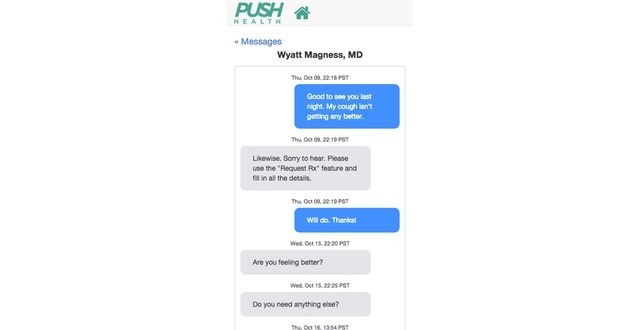 As such, we designed Push Health to be easily shareable through email, text, social media etc. Going forward we see an opportunity given our 15+ years of combined experience acquiring self pay healthcare consumers to accelerate the marketing efforts of the providers in a highly scalable and ROI effective manner. 2) Why would they need this? We are making the previously impossible, possible for the individual medical provider by removing friction points and connecting disparate parties across the healthcare services space. 3) What's the biggest use case for your service? A) Optimize and scale beyond four walls of brick & mortar facility. A major challenge in the consumer-driven healthcare world is the ability to create a habit which helps create a brand. Our experience is that "convenience" is the primary decision making factor in a selfpay healthcare consumers mind. 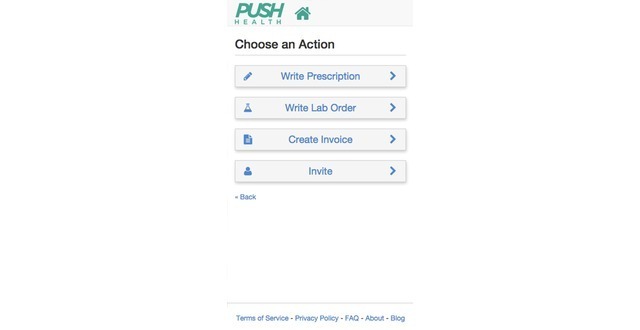 Push Health makes it easier to develop and reinforce a habit by offering a convenient healthcare experience for the patient. B) Easily and simply create a scalable "after hours" care model on their own terms (ie compensation, patients, services, etc.). Push Health makes it possible for any individual provider to turn themselves into a "Tela-Provider+". C) Provide care to personal networks in an organized manner. With deductibles increasing and access worsening, Push Health creates additional capacity in a more affordable way by making it easy for the individual doctor to serve his or her personal networks. 4) How do you reach out to physicians? What's been your go-to-market strategy? To date we have been in a so-called semi-private beta and have limited our outreach to cost-effective digital marketing and WOM initiative. We recently deployed our "subscription" based model driven by our development of a first-of-its-kind, per service medical malpractice premium. If you think that was difficult to read, you should try getting this type of policy in place. We worked with AON for nearly one year to develop a solution that is ONLY POSSIBLE on Push Health. The subscription model paired with marketplace fees create a very interesting economic opportunity at scale. 5) Do physicians pay Push Health? How challenging has that been? Prior to the subscription based offering, the software was free for physicians to use and the patients were the only participants making payment. It is early innings with the subscription based offering, but the feedback is great. When the alternative is to go through the hassle of a broker and underwriter, write a multiple thousand dollar check, and then hope you can find patients, the $60/month no hassle option sounds pretty incredible.